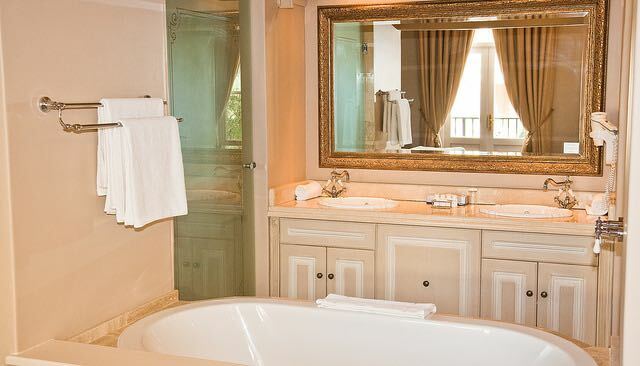 Who wouldn't want a dreamy bathroom to pamper ourselves? 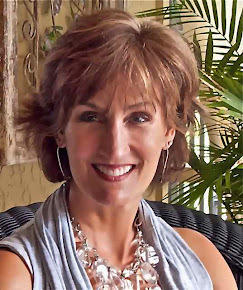 My guest blogger, Lillian Connors has some beautiful ideas on how to achieve just that. 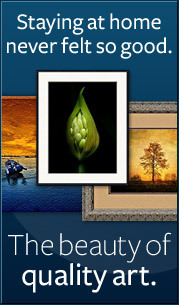 Redesigning any room in the house is by default a task that requires significant effort and time and money investment. Due to all this, bathrooms are often the last on the list since usually the kitchen and the living room take all the funds and energy. However, once it gets its turn it surely deserves all the attention and you should take the opportunity to finally turn your bathroom into a dreamy place you always wanted it to be. These chic design solutions will make the process a lot easier. Shower cabins have become a standard feature of modern bathrooms due to time restrictions our modern way of life imposes. However, this does not have to involve any design constraints. Turn your shower cabin into a shower area instead and improve both the functionality of the space and time spent in it. Install ceiling showers and high wall-mounted ones to maximize the showering pleasure and minimize splashing. Finish everything in style by installing water and air tight glass doors. They will not only prevent leakage but create an impression of spaciousness as well. 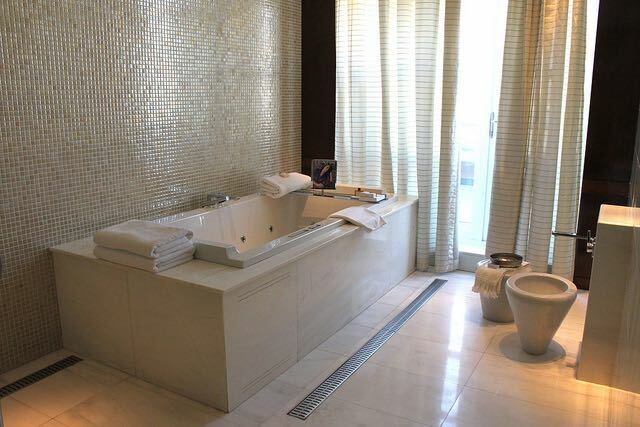 If you like to relax soaked in water after a long day and opt for a bathtub instead of a shower area, the best approach is to think of it as a centerpiece of your bathroom design and a feature that will dictate everything else. They come in various styles and dimensions so you will surely be able to find one that meets all your requirements. The size matters and bigger is not always better in this case. Do not be embarrassed, try the tub before you buy it. If your bathroom space is small, opt for a deeper tub or a corner one. 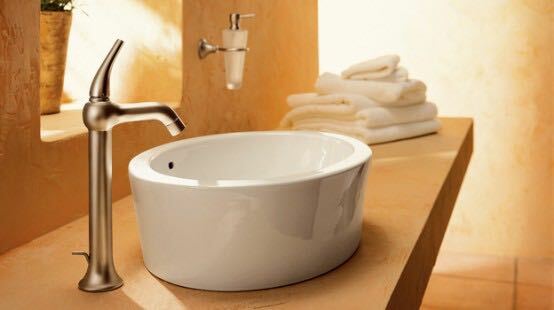 Sink is another feature that is heavily used in all bathrooms and it needs and it goes without saying that its functionality and durability is of utmost importance, say the people at Dial up Plumbing. However by all means do not neglect the stylistic touch it provides. Look at it as a continuation of your tub or shower area style in terms of material choice, dimensions and design. For example, if you opted for a Victorian style bathtub, a modern sink will only take away from its beauty. On the other hand, a freestanding one would fit almost any style and add a touch of class as well. What good are all your design efforts if they are hardly visible due to poor lighting? Natural light has been proven times and times again as a great beneficiary of both human health and mood so try to make the best use of it. Maximize the window surfaces, get rid of thick curtains for good if privacy allows it or opt for light ones instead. Use the redesigning opportunity and install dimmer controlled artificial lighting that will allow you to change the atmosphere whenever needed or desired. Task lights will greatly solve the problem of dark areas and those installed around the mirrors easily turn your bathroom into a dreamy Hollywood style dressing room. The sky is the limit when lighting combinations are in question so feel free to play with it as long as sufficient luminosity is provided. The chic component of any design often lies in the large contributions the small items provide. Curved towel hangers, stylistic mirrors, handcrafted chandeliers and pendant lights and artistic taps will bring additional sophistication and aesthetically improve practically any setting. Still, do not overdo since their individual contribution will be diminished if too many items were used. Follow the artistic line you have, keep functionality and quality in mind since designing a bathroom is a rare opportunity, have fun along the way and the results will surely be triumphant.